We conceptualize web and mobile digital products, from the basic idea to the market release. We create great design products adding more value to companies. Great design is transparent . We have a great understanding of users needs and a strategic vision of the business. Good design is never having to say “click here”. We make quick and accurate diagnostic assessments, looking at things that are not seen as traditional design problems. to design is to plan, to order, to relate and to control. In short it opposes all means of disorder and accident. augeo is a company dedicated to the development of graphic and web solutions for companies and professionals. We are dedicated to build winning companies’ identities, create delightful end-to-end experiences, produce high-quality visual designs, and inject beauty and life into a product. We know that each client is unique and that is the reason why we are specialists in creating innovative solutions in accordance with each client's philosophy. Our goal is to demystify new communication and development technologies and make them accessible, helping our clients to understand and take advantage of them. •	Web & Mobile User. •	Web and Mobile Design. •	Letterhead & Logo Design. •	Web & Mobile Applications. monitoring app design that allows doctors to keep an eye on their patient remotely. Corporate image and design work for Virtual Bank. Logo & web design for a social network for dancers an musicians. Web redesign and logo design for economic consultant. Logo and Brochure design for a Colombian-based port and terminal operating company. a WI-FI digital marketing tool design that brings you closer to your customers and helps building loyalty with them. Logo and Brochure design for a port and terminal operating company. Logo design and print materials for health company. A comprehensive financial services supplier. Logo design, app design and video reel presentations for a transactional platform. Logo design and print aplications for seeds company. Video presentation for parking and ticketing app. Have a look at out work portfolio. "We know that each client is unique and that is the reason why we are specialists in creating innovative solutions in accordance with each client's philosophy. " I worked with Facundo and his team in accounts like Nike and Kraft. I think that just seeing the quality of his work on both clients should speak for itself. Facundo is passionate about what he does. He has a sense of chic and a unique voice when it comes to design. He always manages to surprise me and I am very fortunate to have met such a great professional. I am very picky when it comes to choosing the people that I work with because I expect them too work as hard and with the quality of my own work. Facundo is not a regular graphic designer, he's an artist with a sharp practical vision. I keep choosing Facundo for every design I need. In addition to being a User Experience expert, Facundo has to be one of the most hard worker people I know. 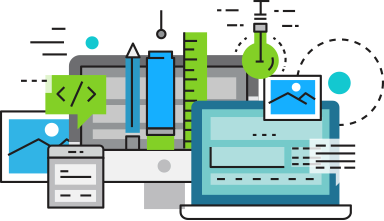 He and my company collaborated on several ideas for Web Development Industry and he gave us some great insight on the needs within that specialized market. He puts a lot of his time into creating resources and projects that bring people together and help them become better at their work. Facundo is an excellent designer that always surprised me with his excellent results. He quickly understood what was needed to build a successful solution. Moreover, he was always on time and his work was great! I highly recommend working with him. We found in augeo a company really focused on the client, not only providing an excellent design but also fulfilling the deadlines we needed for publishing. We recommend their company to all with our total trust and confidence. augeo design team has developed a significant task combining uniquely the artistic qualities of design and creativity with a unusual vision of marketing strategy. The site that augeo designed for us is original and user friendly. It has the main characteristic we were looking for and that is to let others know about us and our work in a very simple format. Definitely worth checking them out. Facundo is an excellent service provider related to graphic design and web design development, he understands at the very beguining, exactly what are you expecting about image, communications, top design development, and he works fast, and reliable even without your day to day project follow up. I have worked on several projects with Facundo and his team. He always stood out for his creativity, innovation and professionalism. It is a pleasure to work with him. Facundo is a highly creative, extremely reliable and very professional web designer. We hired him many times for web development projects at Wanako Games and he always surpassed our already high expectations. We wanted to think about our website with creativity, operability and good taste. Luckily for us, we knew Facundo through other jobs that reflected part of what we were looking for so that helped us solve issues before even starting. We also value the "post-sale service", which is a key aspect on every site aiming to succeed. Get in touch and tell us about your next project. We'll be pleased to be part of it.